Jen of Stuff Jen Did recently shared with me photographs of her creative space. In the corner of her living room she has setup an easel to paint artwork for her herself as well as commissioned pieces for friends and she will soon be exhibiting her work in a local gallery. 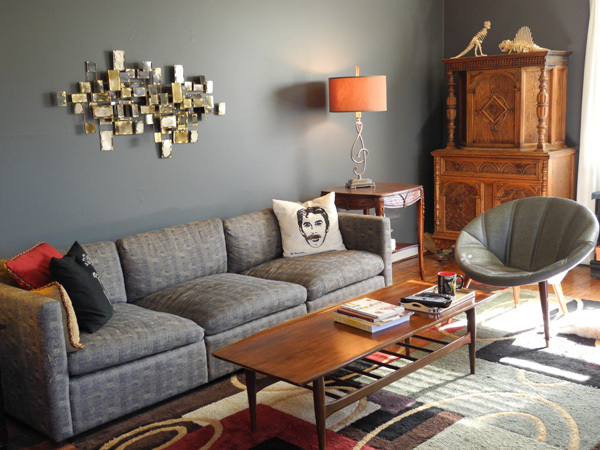 Jen says, "It doesn't take much space to carve out a place for creativity. 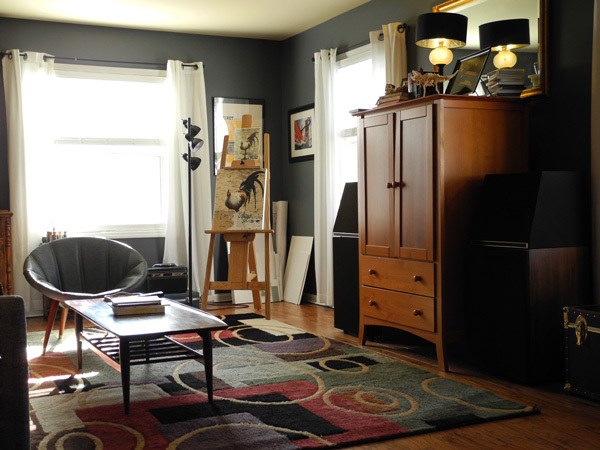 Storage seems to be the most important factor - hence the vintage suitcases and nightstand turned paint cabinet". Jen is a librarian by day, a self-confessed DIY nut and writes about her various projects on her blog. 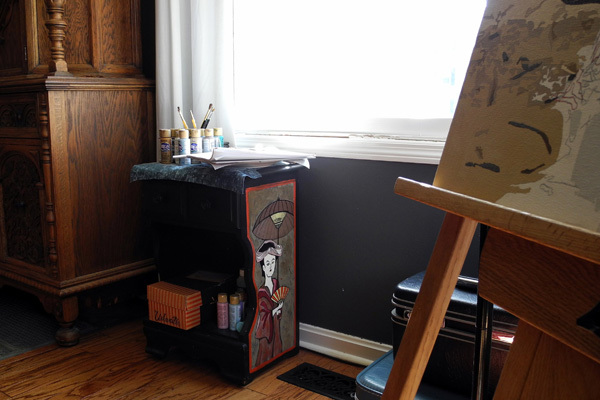 What I love most about her creative corner is that the easel also acts to display rotating artwork in her living room through all the various stages to completion. 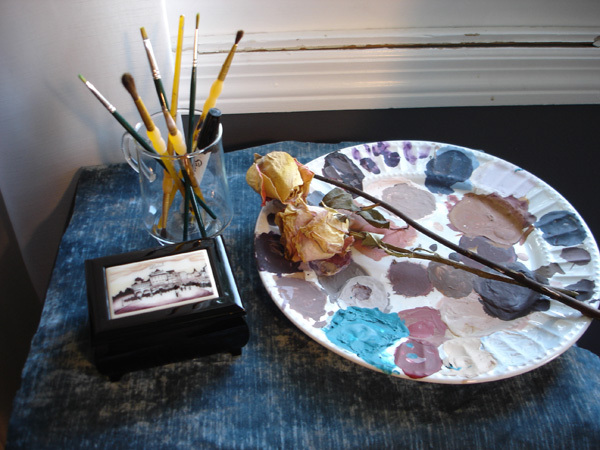 If you have a creative space you would like to share, please contact me. I would love to hear from you.